We are affiliated to the English folk dance and song society EFDSS and dance to a variety of styles and difficulty of dances. See events page for dates There is no annual membership fee. Follow the links at the top of the page for details of how to find us, details of forthcoming events and how to contact us. We also have a facebook group - sandbach folk dance society. 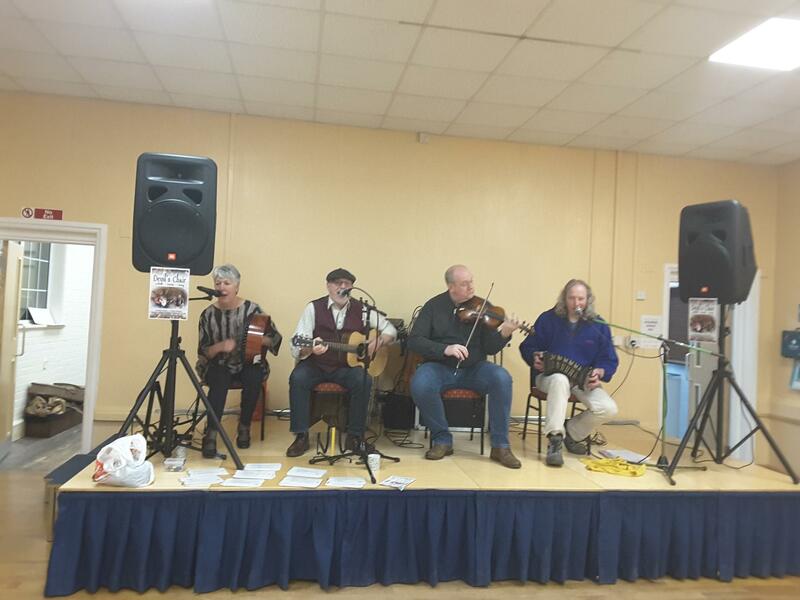 These pictures below show dancing at our regular Tuesday dances and then Devils Chair playing at our March dance. and Jigsmith playing at our Christmas dance. All at Rode Heath Village Hall.